Campo Viejo invites graphic artists from around the world to create the label art for their ‘Art Series’ Limited Edition Bottle that brings to life the idea of living 'life uncorked': a life that is as rich, authentic and as expressive as their wines. Campo Viejo is looking for creative, colorful, 2D graphic art (including artwork, illustrations, street art and murals) inspired by ‘Live Uncorked’ campaign values: Generous, Authentic and Vibrant. All submissions should be submitted using the template provided. 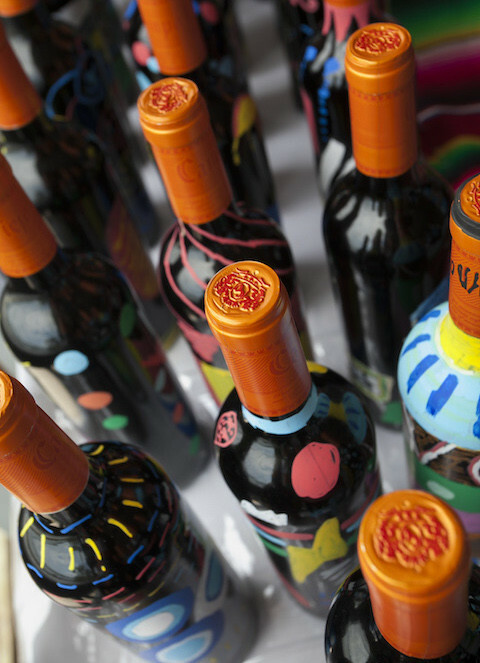 One Selected Artist will have their work used on the limited edition bottle of Campo Viejo Reserva and receive £3,000. Four Finalists will receive £1,000 each and have their work displayed to thousands of visitors – including influential press, artists and tastemakers – as part of a gallery at the Campo Viejo Winery in La Rioja, Spain. All submissions should use the label template provided here and respect the dimensions and die cut of Campo Vieja Reserva front label, integrating the artwork on the indicated area and leaving white space for legal texts. Please follow the guidelines for the label design set out in the Label Design Brand Guide. The Campo Viejo color palette should be predominant: vivid and warm colors, especially yellow, orange and red. The colors must contrast with the orange of the label (pantone 152 C). The ‘Live Uncorked’ campaign embodies a world full of enjoyment, daring passion, expressiveness and vibrancy. A sense of vitality, color, happiness and freedom of expression… the Spanish outlook on life. Campo Viejo is all about expressing authenticity, being social and opening up. It is not about being thrill-seeking, reckless, washed out, introvert or excessive. Artists are encouraged to watch the Harvest 2016 Celebration video and 'Street of Colour' video for inspiration and check out this mood board. Selected Artists will have to supply their artwork as a vector file in CMYK supplied as an AI file or similar (high-res, layered PSD files, CMYK and 300dpi minimum, may also be accepted). 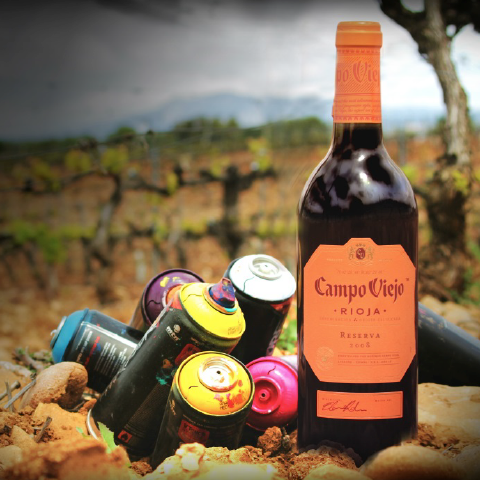 Campo Viejo is the number one wine brand from Rioja, enjoyed by millions of people around the world. The brand is synonymous with innovation and a symbol of the expressiveness, color and vibrancy of the premium Spanish lifestyle. Campo Viejo Inspires consumers to live a life more colorful by bringing the expressiveness of Spanish culture to life. The craft of winemaking is an art in itself. Both start with a blank canvas and a vision of what their creators want to achieve. It is this process that then takes Campo Viejo on a journey of experimentation, of flavors and colors, until the winemakers are completely satisfied with the final outcome. 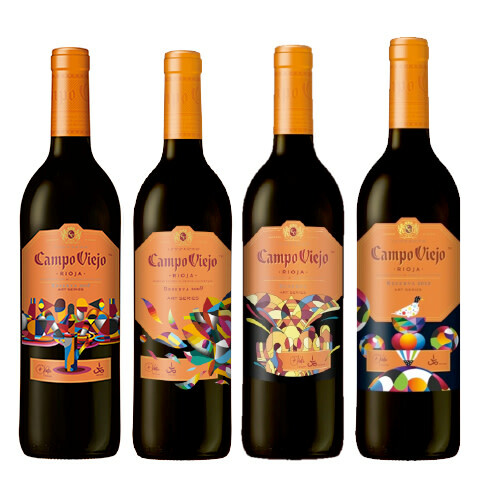 Have the opportunity to produce the official Campo Viejo ‘Art Series’ 5th Limited Edition Bottle label, sold in more than 15 countries with a total volume of 50 thousand bottles. Have their works exhibited at Campo Viejo Winery in La Rioja, Spain for a month in March 2017. 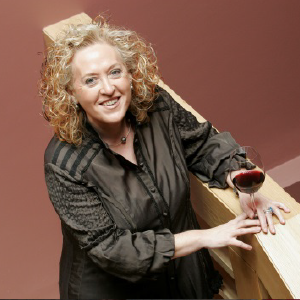 Elena Adell has been involved in winemaking since 1985, with her career at Campo Viejo starting in 1998. The granddaughter of a grower, she studied Agricultural Science at university and is an expert in Rioja winemaking. Her aim is to discover new ways to create interesting, expressive wines that feature the vibrancy and color of Rioja and Tempranillo. "Winemaking and art have a lot in common: as a winemaker, I express myself through our wines in the same way an artist expresses themselves through their work. So I cannot wait to see how the artists will express their vision of our ethos of 'Live Uncorked' on a label for our new limited edition bottle." Madrid based street artist Okuda has a Bachelor of Fine Arts from the Complutense University of Madrid, and has produced highly recognizable street art on rail-roads and abandoned factories in his hometown since 1997. Parallel to his work in the street, Okuda also makes more ntimate works in his studio. The multicolored geometric structures and patterns are joined with gray bodies and organic forms in artistic pieces that could be categorized as Pop Surrealism with a clear essence of street forms. His works can be seen in streets and galleries around the world. 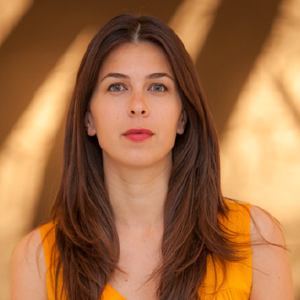 Anna Dimitrova manages artists globally and is the founder of cultural organization Nobulo. Having a degree in Information Sciences and specialized in Urban Art, she has organized strategic events for big brands and independent projects in the field of art since 2003. Custodian of numerous art exhibitions, her mission consists in creating a bridge between companies, artists and countries. 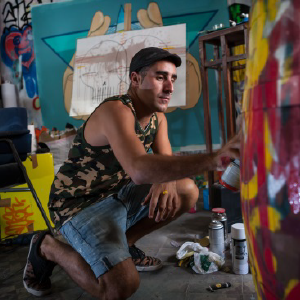 Since 2012, Anna has worked closely with Campo Viejo and the artists Okuda & Remed for the Streets of Colour campaign. This opportunity is open globally to those who are at least 25 years of age at the time of entry. Void where prohibited by law. All submissions must use the label template provided here and respect the dimensions and die cut of Campo Vieja Reserva front label, integrating the artwork on the indicated area and leaving white space for legal texts. All submissions must be original artwork (meaning not using third party pre-existing copyright materials, or stock imagery except for those provided by Campo Viejo in the template) but can be pre-existing or created especially for this opportunity. Artists should ensure they have read the 'Your Submission' section closely. Submissions should follow the guidelines for the label design set out in the Label Design Brand Guide. Artists should retain their original files in the highest quality possible. Submissions must be submitted via the "Participate tab" as a JPEG or PNG max size 10MB. Selected Artist and Finalists will have to supply their artwork as a vector file in CMYK supplied as an AI file or similar (high-res, layered PSD files, CMYK and 300dpi minimum, may also be accepted). All artists, who are not selected, may promote their work on social media in connection with the Creative Invite. All artists, who are not selected, shall grant Campo Viejo (Pernod Ricard) a limited, worldwide, non-exclusive, royalty-free license to promote their work on their channels for a period of 6 months from Selected Artist announcement. All artists will be credited accordingly. 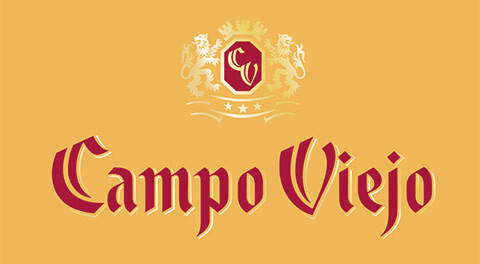 The Selected Artist assigns Campo Viejo (Pernod Ricard) full copyright in and to their work. The Selected Artist will have to sign a Release Form. In return, the Selected Artist will receive the specified incentives. The Finalists grant Campo Viejo (Pernod Ricard) an exclusive license (global, unlimited, 2 years, royalty-free). The Finalists will have to sign a License Agreement. Selected Artist and Finalists must respond to Talenthouse within two days of receiving the notification email or else will forfeit all incentives. CSR: Artists should steer clear of showing drunkenness, pregnancy, drunk driving, or anyone under the age of 25 in your design. Campo Viejo and their panel of guest judges will select from all qualified submissions. A qualified submission is one which meets all the Terms & Conditions, Guidelines, Official Rules and Campo Viejo policies available (Code of Business Conduct, Wine Communication Standards, Code for Commercial Communications, UN Global Compact's Ten Principles).